Colegio Santa María del Camino | Wonderful news about the Cambridge exams results! We are very happy to announce that the results achieved in the Cambridge exams last June were really good. And this makes us very proud of our students. 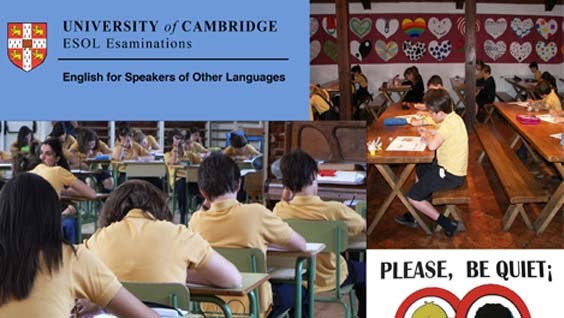 They spend the whole year preparing for these official Cambridge exams that allow them to know their real English level. We consider these exams of great importance as they will be very useful not only in our students’ future academic life, but also in their professional one. At our school, we begin the exam preparation with Starters in the 2nd grade Primary and we expect them to finish with the First Certificate towards the end of their Secondary studies. We strongly recommend our students to have a continuous preparation along the different levels to acquire the right skills for the exams. This year we are delighted to announce that one of our students in 3ESO passed the CAE (Certificate in Advanced English) and we want to congratulate her for the good results.